It has only been days since Sheila Dikshit resigned as the Governor of Kerala, and the Government of India despite all the opposition from other political parties and the judiciary itself appointed former Chief Justice of India as Governor of Kerala on Wednesday. Before the present instance, a former Chief Justice of India had never been appointed as a Governor, however, there have been instances where a former Chief Justice of High Court was appointed as Governor. Moreover, Justice Sathasivam retired as the CJI in April this year only. 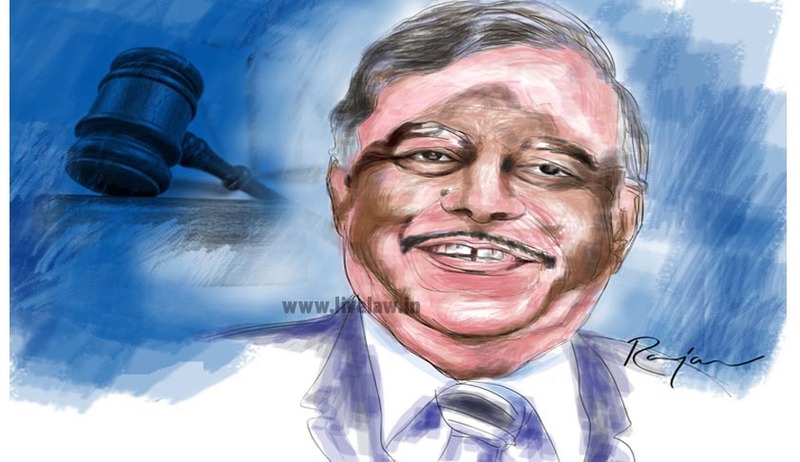 The move to appoint Justice Sathasivam as governor has received much criticism with 117 members of the Kerala High Court Advocates Association moving a resolution requesting the President to discard the recommendation made by the Home ministry. Former Chief Justice of India V N Khare has also stated that the move will set a bad precedent and will lead to more political intervention in the coming years. He said "There is no precedent to this. No Chief Justice of India has ever been offered or accepted this post. I would have not accepted it myself. I was never offered and would not have taken it myself either," he said, adding, "If you create a precedent, it may be followed. Other judges may say if 'A' has accepted it then there is no harm in it." Justice Sathasivam comes from a family having agriculture as its occupation and was himself involved in agriculture, after his retirement. He was the first graduate in his family and also the first law graduate from the village. Appointed as a judge of the Madras High Court in 1196 and elevated to Supreme Court in 2007, he was the Chief Justice of India from July 2013 to April 2014. Interestingly, Justice Sathasivam was never the Chief Justice of a High Court as he was directly elevated to the Supreme Court when he was a judge in the Punjab and Haryana High Court. He is also the first judge from Tamil Nadu to become Chief Justice of India. Justice Sathasivam penned some landmark judgments while being on the Bench, these include the Reliance Natural Resources Ltd. vs. Reliance Industries Limited wherein he emphasised the use of natural resources through Public Sector Undertakings and also release of death row convicts when there was inordinate in disposal of their mercy appeal by the President. Justice Sathasivam, unlike other judges has not taken up any arbitration matters or even consultation work for corporates after his retirement. However, he had said in his farewell speech that he would take up any position befitting his stature. Interestingly the appointment is coming during times where post-retirement jobs for judges have been criticized. Mr. ArunJaitley, currently the Finance and Defence had said when he was the Leader of Opposition in Rajya Sabha that "...this clamour for post-retirement jobs is adversely affecting impartiality of the judiciary of the country and time has come that it should come to an end,"
Also, it has been the case that the bench of Justice P. Sathasivam and B.S. Chauhan gave the former Gujarat Minister and BJP leader, Amit Shah, relief from arrest by quashing the second First Information Report filed on the fake encounter killing of TulsiramPrajapati. The same bench on another occasion had expunged its two controversial observations in its judgement on the killing of Australian missionary Graham Staines. However, amidst all this, IBN has reported Justice P. Sathasivam as saying "On the date of my retirement, I had said I would not accept any arbitration work and I went to my native place in Kerala. Now if the government wants to utilise my experience which is more than 19 years of experience, and I want to do good service for the people of Kerala, what is wrong in that? What is wrong if I want to help the people of Kerala after retirement?"